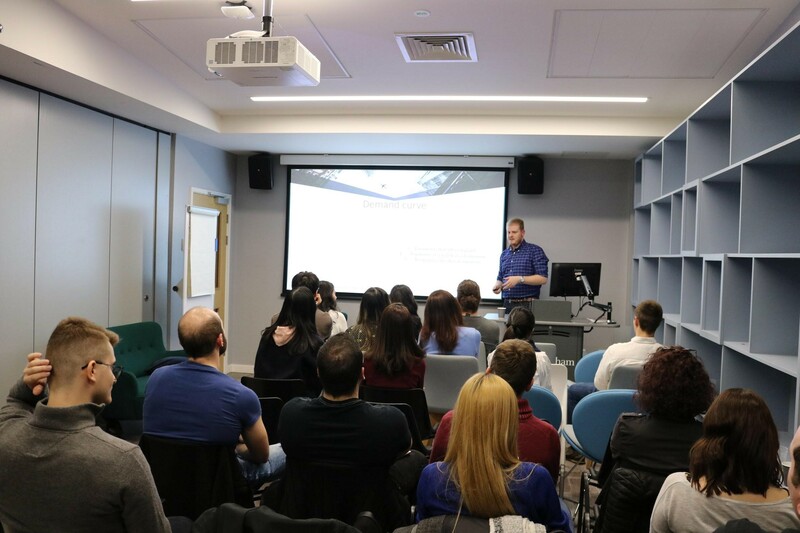 On Thursday 21st March the GCP Seminar Series Team tried something different to its usual event setting. Instead of having a speaker delivering a seminar, we decided to facilitate a discussion. 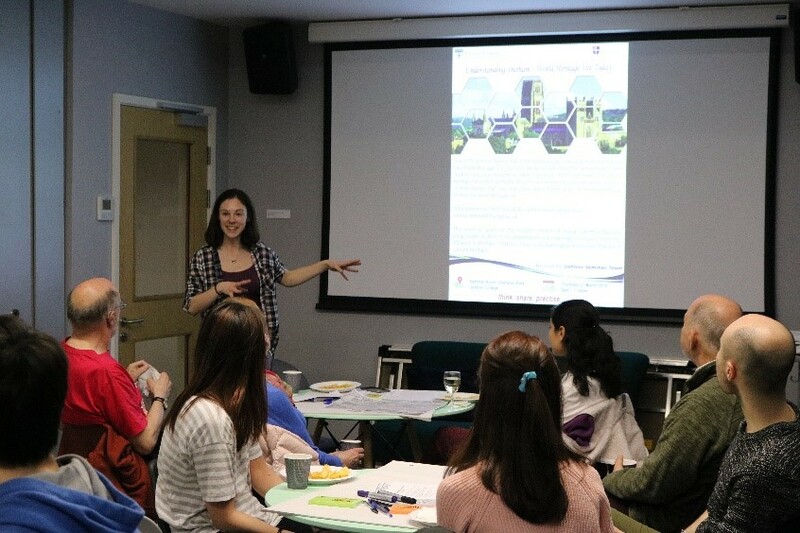 The topic of the event was Durham’s World Heritage Site and the aim was to explore the perspectives of both students (national and international) and local residents on their experience, stories and views of the World Heritage Site and its use today. 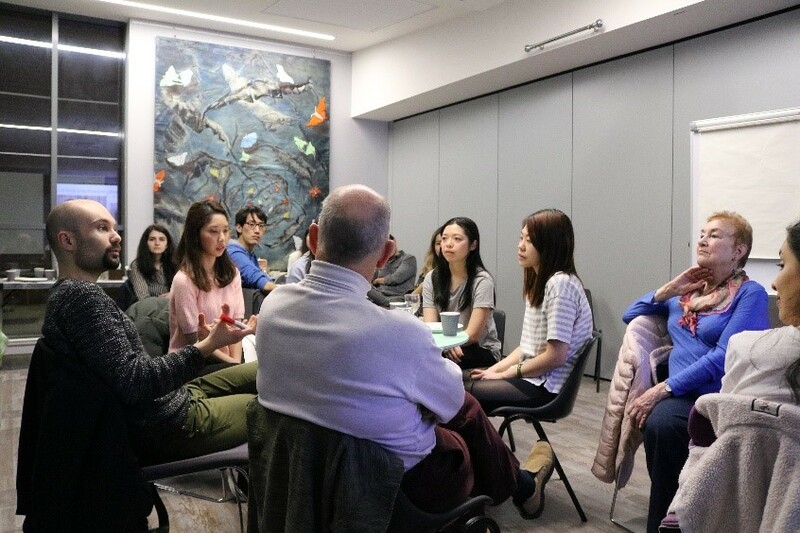 Our expert, PhD student Anouk Lafortune-Bernard, from the Archaeology Department, facilitated the discussion of the event with the help of the Seminar Series scholars. As people were arriving, we encouraged them to take a sit in one of the three tables. 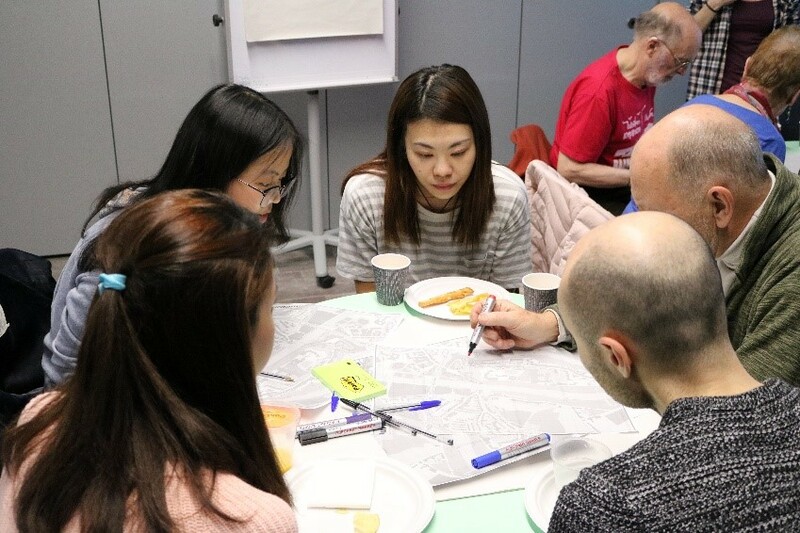 Each table had A3 maps of Durham and as an icebreaker activity, participants were asked to draw the line of what they think the Durham World Heritage Site involves. After the icebreaker, the event kicked off with discussion in each table on the history and importance of Durham World Heritage Site, its present use and expectations and Concerns related to Durham World Heritage Site. What followed was a short presentation by Anouk on findings of similar discussions she had with other groups. The last activity designed for the evening was to discuss your own experience of Durham compared to the results presented by Anouk. It was very interesting to bring together local residents and students to discuss Durham’s Heritage Site, its use and expectations. The discussion in small groups showed how different the perceptions of students were compared to those of other groups. 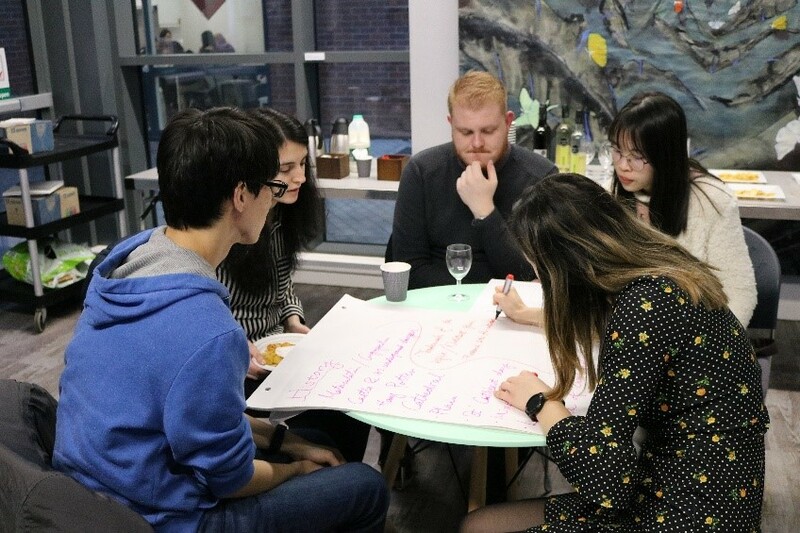 The focus was also placed on the role of university and what could be done in order to engage students with the local community, history and heritage of Durham. Understanding the use of the site and reflect on any concerns or expectations that we may have about future plans or developments at, or near, the World Heritage Site is very important for our community. 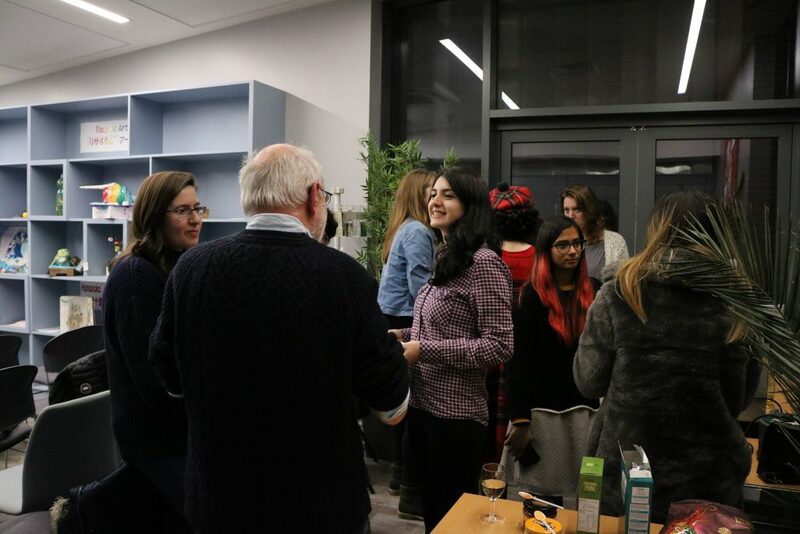 The event provided a great opportunity to create spaces where we can engage in dialogue beyond academic spheres, reinforcing ties within our community. Special thanks to Anouk for the initiative and facilitation of the event and to everyone who participated. 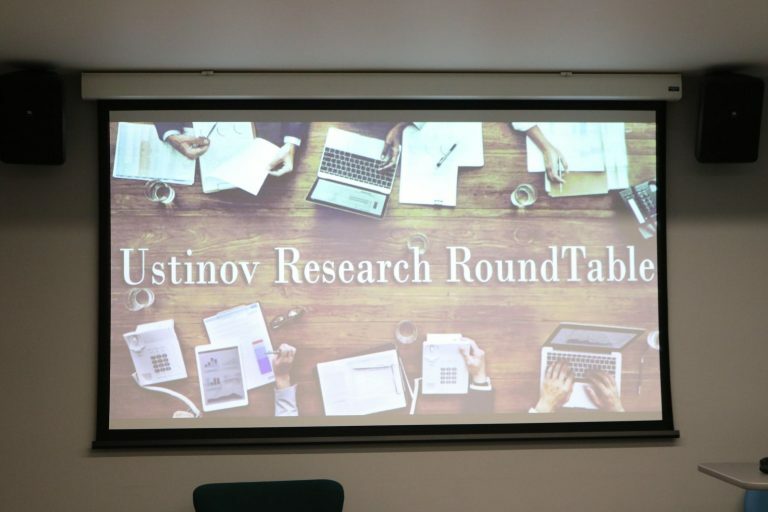 With the success of the first Research Round Table event, the second Research Round Table came back for Ustinovians to share and discuss their research topics. 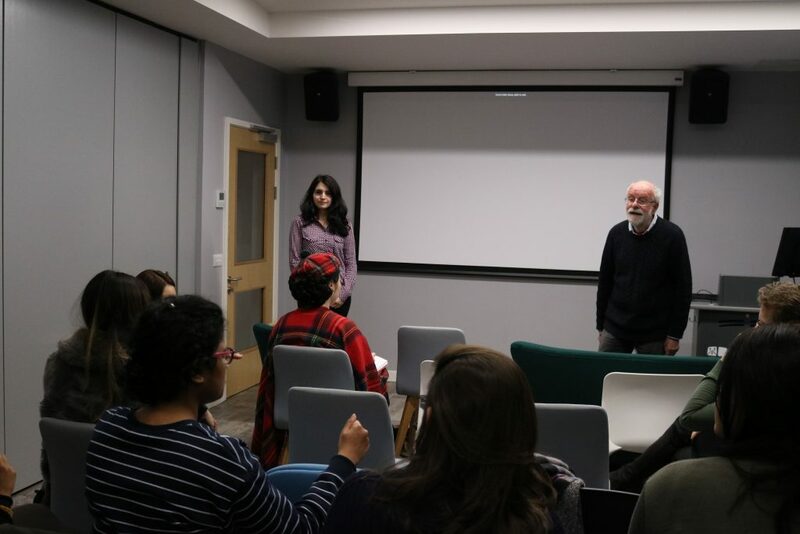 The event is hosted by the Seminar Series team of the Ustinov’s Global Citizenship Programme (GCP). In this second Research Round Table, there are three speakers across departments including Geography, Philosophy and Business School. The first speaker, Giselle Eugenia Connell from Department of Geography, shared about the memory and meaning of dance-mappings after the genocide in Rwanda. 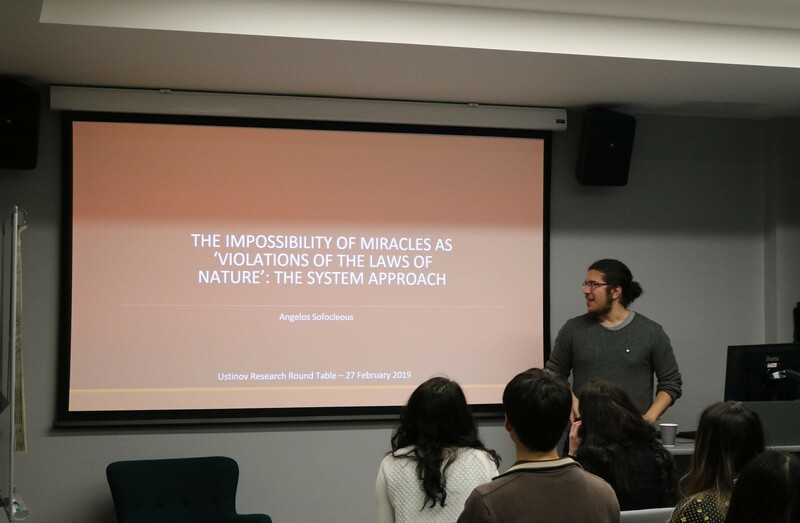 The second speaker, Angelos Sofocleous from Department of Philosophy, talked about the reason why law of nature should be redefined as law of the system and the interaction of supernatural and physical systems. The last speaker, Antonios M. Vasilatos from Business School, presented his research interests in the area of Microeconomics in Greece’s Tourism and explained how economic events affect Tourism’s growth. 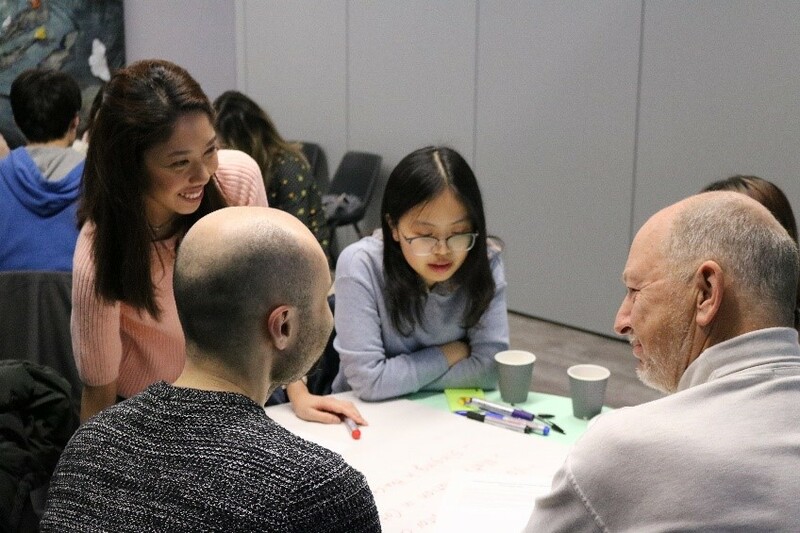 During the discussion, this event offers an opportunity for participants to ask and discuss in the speakers’ topics in order to help speakers develop the quality of the research, gain new experience and share new ideas. 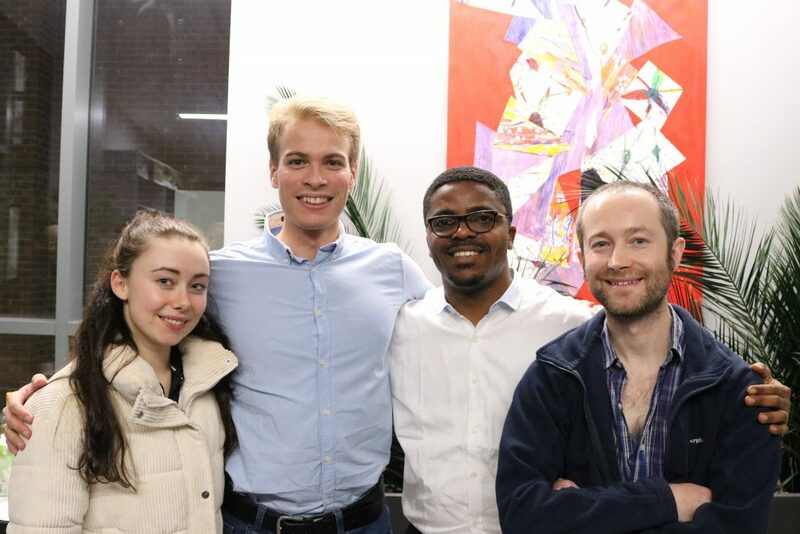 Apart from the topics’ discussion, the socialising and networking with international students are one of the highlights of this event, building the sense of community. We welcome all speakers and participants to discuss further topics. If you are interested in our upcoming event, please stay connected through our social medias such as Twitter, Facebook and Instagram. At first sight artistic copyright and land rights do not seem to be closely connected. However, this is not true in Aboriginal Australia, where the two are tied together with the general rights movement of indigenous Australians. The West has historically tried to impose its ideas, lifestyle, values and laws into other civilizations, which is of great significance to the Global Citizenship notion, as it clashes with the idea that different cultures should co-exist in harmony. 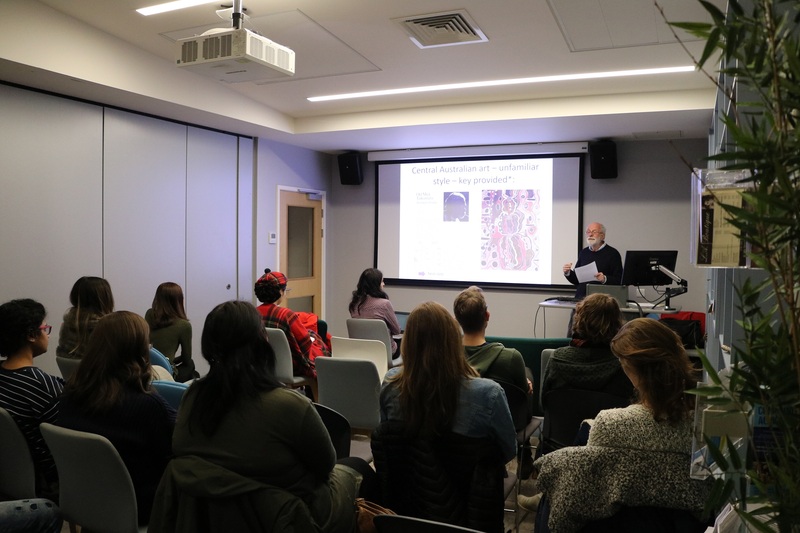 On Thursday 24th January, the Seminar Team invited Professor Robert Layton from the Anthropology Department of Durham University to give a talk on artistic copyright and land rights in Aboriginal Australia. The speaker started by explaining the traditional social organisation within the indigenous population and the differences in aboriginal imagery depending on the territory of each clan. Emphasis was placed on selling indigenous artistic artefacts in the 70s as a means for independence from the Australian government. To quote the speaker, ‘they were using money to buy their freedom’. Although there was an initial attempt to educate colonists about the significance and meaning of the symbols, there was a cost for this commercialisation. There was an exposure of secret ritual elements, which were quickly removed from the artefacts, and the imagery was used commercially without the payment of the artists, fact that led to many copyright court cases (e.g., David Malangi’s dollar case and the Bullen-Bullen case). Professor Layton continued with the land rights movement. The connection between artistic imagery and land rights can be seen clearly through the Yirrkala bark petition. Known as the magna carta for aboriginal people, it was a petition presented to the Australian parliament calling for recognition of Aboriginal land rights. The peculiarity of the Yirrkala petition lies in the fact that the emblems of the affected clans were painted around the margin of the petition. This was an attempt again to find a common understanding between the aboriginals and the colonists. The attempt to translate the aboriginal culture has been a daunting task and Professor Layton kept coming back to the mismatch of perceptions between the colonists and aboriginals. The fight for land rights was not an easy one. Before the colonists arrived, the clans used to let others enter their estates and hunt or fish, for instance, but they would give them a permission to do so. Additionally, if a clan died out, there was no perpetuity and someone else could settle in that estate. The significance of these elements is observed in the dispute between the Yolngu people and the Nabalco Mining Company wishing to mine on the Gove Peninsula. It led the Northern Territory Supreme Court to hold that the clans did not have an exclusive right in the disputed estate, as the exclusive element was demanded by English law for the recognition of ownership. Also, in general, the land claim process was multi-faceted. It required anthropologists to document the claim, lawyers to check the claimants’ case, a judge to hear the evidence and legal arguments for and against the claim, and only then could a recommendation be made to the Government. The most significant case is the Mabo case on Native Titles, which established the legal recognition of rights that existed before colonisation, if they were not extinguished. However, as you might suspect, it is particularly hard to prove continuous exercise of rights in a colonised country like Australia. 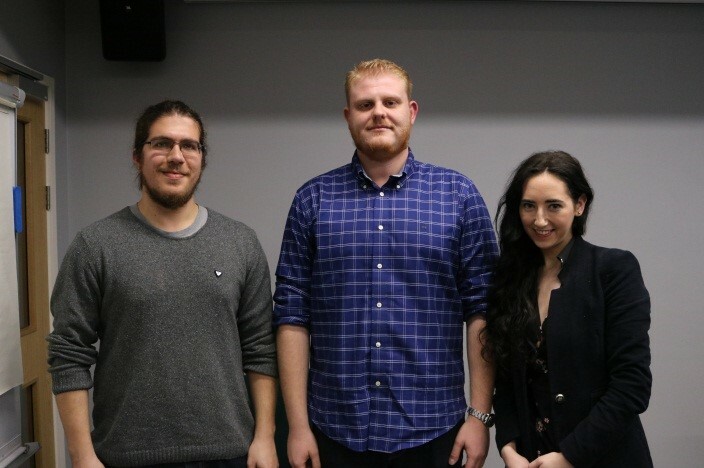 The talk ended with questions coming from the audience on the patriarchal and matriarchal characteristics of the aboriginal clans, the clans’ own way of resolving conflict regarding land rights and the comparison with other native rights movements, for example in Canada and USA. A last remark was made on the current policy regarding aboriginals in Australia and its downfall, as after the sympathetic government policies in the 70s-80s, there is a return to oppression with the 2007 Northern Territory ‘Intervention’ and the suspension of the Race Discrimination Act. Special thanks to Professor Layton for this thought-provoking seminar, which calls us to reconsider our current stance on the concept of global citizenship. How can you join smart cities, nationalism, wind turbines and regiment in global leadership? Through the Ustinov Research Round Table of course! 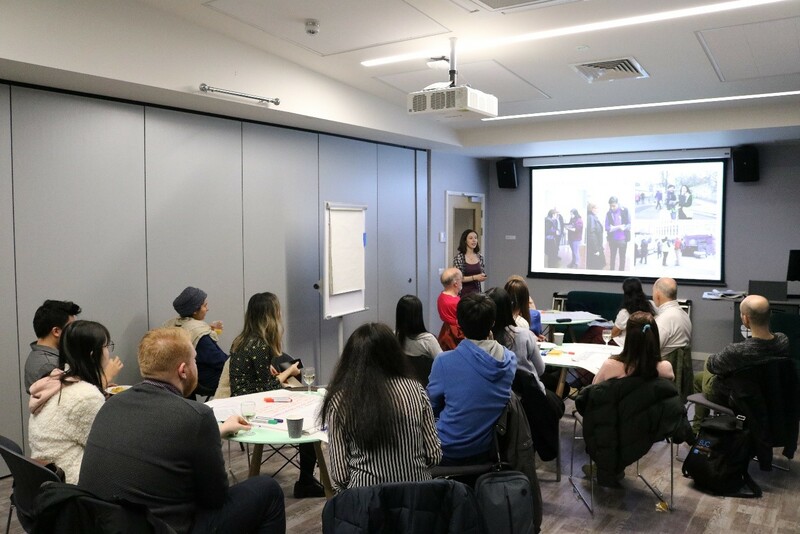 This is an event organised by the Seminar Series team of the Ustinov’s Global Citizenship Programme (GCP), bringing together Ustinovians to share their own research. 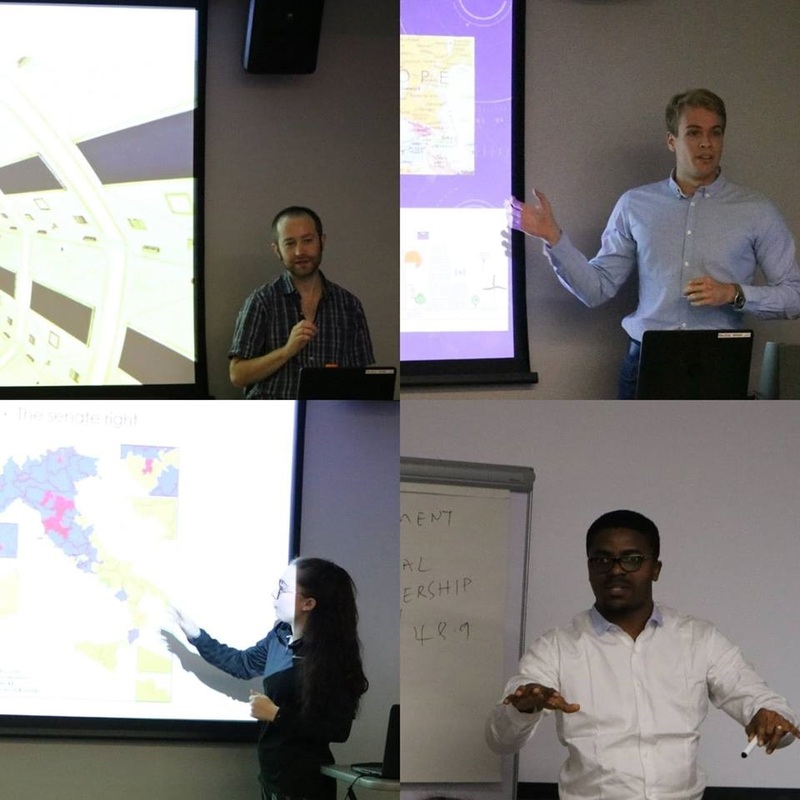 In the year’s first Research Round Table, we managed to bring together speakers from the Department of Engineering, Geography, SGIA and Business School. This was extremely exciting, given its interdisciplinary character. Briefly outlining the discussion, our first speaker, Roger Cox, talked about the maintenance record labelling of wind turbine data for fault prognosis and particularly the Bernoulli Naïve Bayes Classifier. Miklós Dürr, the second speaker, gave an account of smart cities by studying the case of Miskolc in Hungary, discussing broader matters, as its implication for minorities and mass surveillance. The third speaker, Eleanor Ferguson, shared her research interest in nationalism, using in particular the example of Italy and the recent rise to power of the Northern League. The last speaker, Etido Ekwere, explained in a cheerful and entertaining way what regiments in global leadership mean and emphasised the value of personal regiment, as it helps build influence and it is essential for aspiring global leaders. 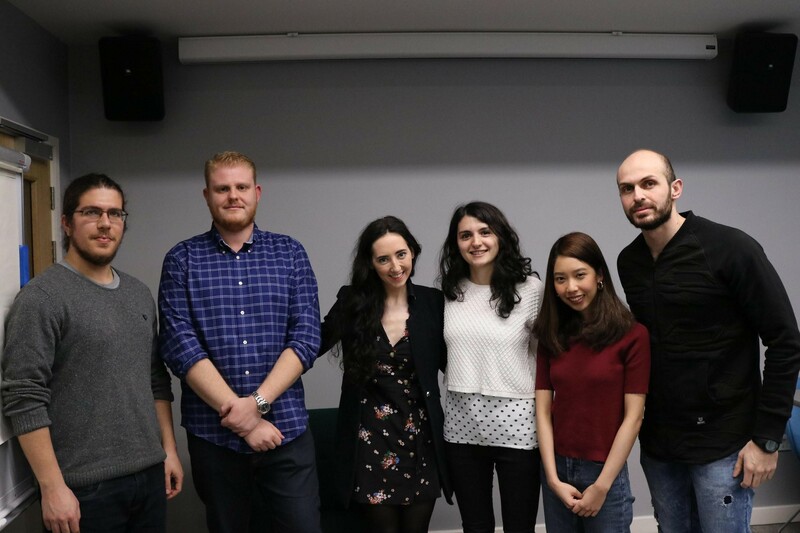 The speakers participating in the Ustinov Research Round Table were given the opportunity to practise their presentation skills, discuss their work in a relaxed environment and get feedback from people coming from different academic disciplines. Additionally, the event provided other Ustinovians the opportunity to get an insight into their peer’s research. 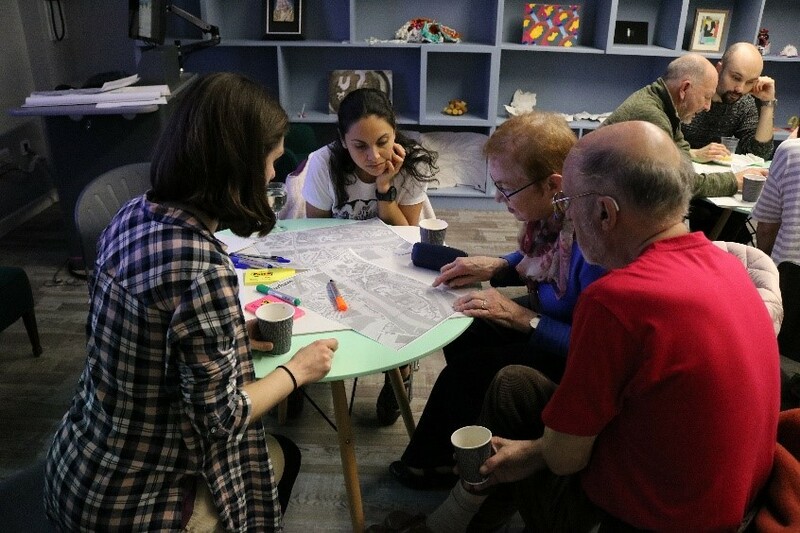 Creating these spaces of dialogue are very important for our community, helping us explore different disciplines, share our stories and engage in productive dialogue. Interested in participating in (or attending) future Seminar Series events? Stay tuned for upcoming events advertised in our different social media accounts.